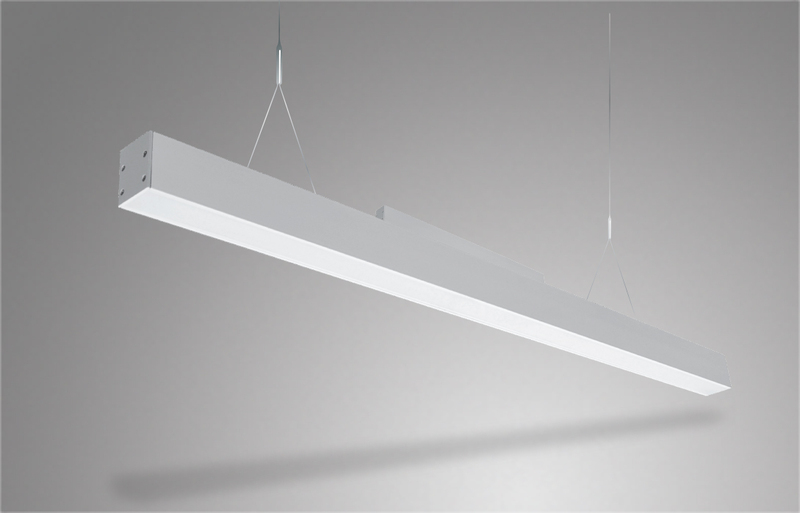 Curve shape combines with parabolic louvre for an efficient profile with better glare control and bat wing light distribution. Curvelite can also be supplied in a continuous run configuration. Mainly use for general lighting in offices, supermarkets & complexes. Fixture constructed of an extruded aluminium housing. Clip in frosted diffuser for uniform light distribution. Field adjustable cable hanger can be located at nearly any point along the fixture length. Each trunk can be installed as standalone unit or as modular unit to be assembled continuously with only one end feed. Up to 3m in single piece without joins. Continuous runs fitted with quick connects for simple, efficient wiring. Model variations offered for surface and cable suspended applications. Flexible solution for various application as vary beam optics can be selected. Ideal for offices, schools, commercial, hospital and residential.